Seeking a glowing complexion this summer? Pick up some Cargo BeachBlush. It is great for various skin types, adding that extra rosy appearance that a woman strives for. Wear it lightly for a barely there look, or apply it heavier for a more dramatic effect. Whatever you're in the mood for. Sephora.com describes this makeup necessity as: "a glowing, bronzing blush combining four complementary shades that when swept together, provide a perfect balance of color - the radiance of a newly flushed face and the glow of a lasting summertime tan." 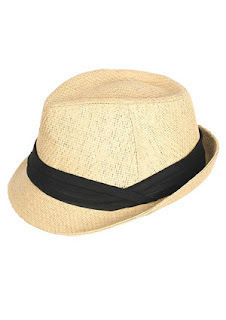 Pictured is MiamiBeach (which I have), but you can also get it in Echo Beach. Both retail for $26. And if you are shopping for Cargo on Sephora.com, be sure to vote for The Best of Sephora 2008 Sweepstakes. By giving your opinion on makeup (c'mon how easy is that?! it only took me about five minutes), you will be entered for a super-spectacular giveaway. And 10 runners-up will get a $100 Sephora gift card, not too shabby. So be sure to head over to the site for beauty buys and glam giveaways! I have just discovered the delightfullness that is Stila...and can I just say...it's like finding religion! 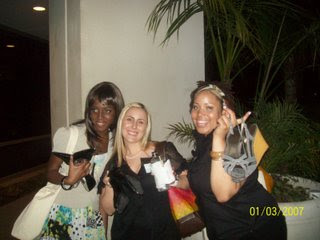 I have been a MAC girl for years now, obsessing over their foundation, powder, eyeshadow, brushes, etc. But things are a'changin' in my life. I recently decided to try a new powder and I was pleasantly surprised when the employee at my local JCPenny's suggested Stila. Of course I had heard of it, but I had never tried it. I purchased natural finish oil-free makeup ($36) and illuminating powder foundation ($26), and combine the two together for a long-lasting, flawless look. I was a bit shocked when I was told that I had to buy a compact to hold my powder. I couldn't believe that it didn't come with the makeup. However; $14 for a reusable compact isn't too bad considering that I am reducing waste and being resourceful. Right now they are offering some great deals on Stila's Web site. Free shipping for purchases over $50, Acapulco Eye Shadow Trio marked down from $32 to $18, Pon Pon Gerbera Lip Glaze originally $20 but on sale for $7, a free sample with every order, and much, much more! There is a whole page dedicated to the thrifty shopper in each of us. Last Friday an H&M opened right in my neighborhood and it was a bittersweet event for me. While I adore the store, I can't help but despise the fact that they are opening on almost every corner. As I stood in the rain for three-and-a-half hours (yup I arrived at 6:30 am and froze 'til 10 am with the rest of the crazy people anxiously awaiting the Chino Hills shopping experience! ), I contemplated what this opening meant to me. I have been a fan of H&M for about two years now. I first visited the store at the Boston location and was immediately hooked. Back then you had to travel to a large city to shop there--so after discovering the retail paradise, I used to drive 45 minutes to visit the Pasadena shop, as it was the closest location to me. So here's where my fashion dichotomy comes into play: I enjoy being able to drive five miles to shop at H&M, but I hate that it's so easily accessible now! While I do love me some Forever21, I don't want H&M to turn into a similar clothing chain. It was like a privilege to shop there before, now it's just going to turn into a normal daily activity. Has anyone else experienced this? Or am I just crazy?! This past weekend fellow Beauty Chatter, Denice, and I had the opportunity to attend the first annual Total Beauty Blog Summit held in Manhattan Beach. And let me tell you, it was fabulous! On Friday we went to a very LA party at the Intelligent Beauty headquarters--complete with drinks, shadowbox dancers, and a group of passionate people in the beauty industry. I was excited when I recognized Kia from Yummy 411! I have enjoyed reading her blog posts and it was incredible to meet her in person. She is so friendly and sincere. I also met Marsadie of Frappelattes, also a terrific woman. The next day were were thrilled and honored to be chosen as one of the two best blog designs out of a group of 100 or so blogs! It was definitely unexpected, but greatly appreciated. Congrats to A Mom in Red High Heels who was also selected! Some of the other highlights included exposure to new beauty products (all of which I look forward to reviewing), an informational panel comprised of magazine/blogger legends including Tia Williams of Shake Your Beauty, and insider information on a product developed by Dr. Hirsch that utilizes smells to increase weight loss. Our exciting Saturday continued into the wee hours of the night as we mingled with our fellow beauty bloggers at the Air Conditioned bar in Venice Beach. VIP status of course, as the owners of Intelligent Beauty also own this hot Los Angeles nightclub. 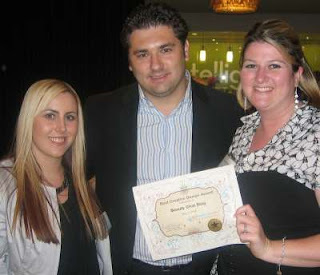 Denice and I had a wonderful time chatting with Jennifer from Beauty in Real Life. She's absolutely hilarious. We were definitely laughing the whole night! 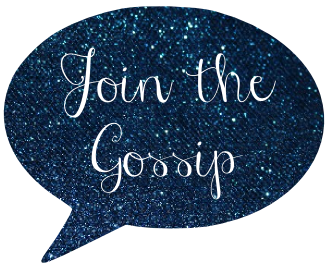 If you are a beauty blogger and you haven't checked out Total Beauty...get to it! It's a seriously beneficial site that caters to your interests, and they have many services to help your site grow. Don't have your own blog? That's okay, the site is still worth visiting. You can sign up to review products! Another reason I love Total Beauty, I won a raffle that allows me to send out a newsletter from Beauty Chat to all of Total Beauty's members. This weekend I have the privilege of attending the Blog Community Summit presented by Total Beauty.com and I’m extremely excited, to say the least. Hosted in Los Angeles at the Intelligent Beauty headquarters, the event is sure to provide beauty bloggers with fun facts and great article material. Look forward to details regarding the summit next week. I should have a lot to share! Apparently the recent rumors of possible nuptials between Kate Hudson and Owen Wilson are false. E!online is reporting that the two have split, and that the breakup was a bad one. According to a source that commented in the article, "Yeah, it was pretty hostile. Lots of shouting. Lots of tears." Allegedly, Wilson had been doing some major flirting (maybe more?) with other women, causing Hudson to call it quits. In the story, the insider also claimed that the pair's opposite personalities put a strain on the relationship as well (Kate being bubbly and outgoing and Owen moody). What do you think? Are Hudson and Wilson the latest Hollywood couple gone awry? Or just is the rumor mill in full swing? I am a few months shy of my 25th birthday, yet I am still a Hello Kitty fan. Then again, I'm not alone. There are many that embrace this cute Sanrio creation. Reading a blog on Fashion Addict about Dior's campaign using Hello Kitty as a model for their collection, it made me realize just how relevant the character is in the mainstream media, and what's more, among adults and the fashion industry. I wear my Avon Hello Kitty rhinestone earrings (pictured above) with pride. 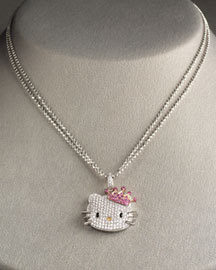 I would love an entire collection of jewelry featuring the friendly feline; however, most it is so outrageously priced. 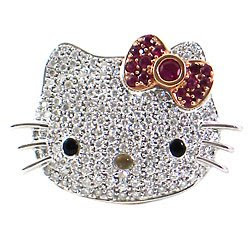 For example, the Hello Kitty Diamond Ring: Face sold by Sanrio retails for a whopping $4,250. Oooh but wouldn't it be a perfect adornment for the finger?! 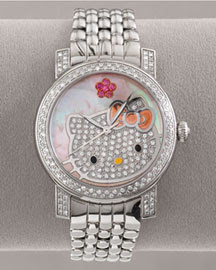 And what about this Hello Kitty Diamond Bracelet Watch sold at Neiman Marcus for $3,550? It's made out of diamonds, Mother-of-pearl, and has a pink sapphire flower. Then there's Kimora Lee Simmons for Hello Kitty. When this lady does it, she does it right! Under Simmons Jewelry she produces various high-end pieces including the Princess Kitty Diamond Pendant which sells for $4,250. Ahh, the dreams of a twenty-something woman! Somehow I missed the entire season of The Hills! Did it seem to be short this time around? Anyways, I did catch a rerun and then the season finale and I must say that Miss Conrad's hair is looking fabulous! Love the side braid! It is currently my fashion fave. I actually tried to do the same with my hair this morning before going to work at Beauty Chat/ PlasticSurgery.com. Unfortunately two problems arose...1. I don't know how to French braid, and 2. My bangs are too short! PS...I am not a fan of Lo! She is a little too snotty for her own good. Will there soon be a Team Audrina?! 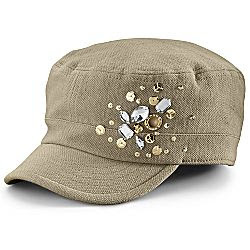 Hats are sometimes difficult for me to buy. 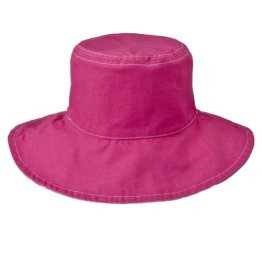 I want to shade myself from the sun and its damaging rays, but I tend to feel like I look like a boy when wearing them. So, here are some feminine/functional styles that I found. 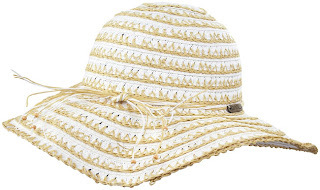 These caps are perfect for summer, whether lounging at the beach or running errands. Last weekend my mom and I decided to take a day road trip to San Pedro. Although we live close to Los Angeles, we never really go out there. So, after reading about the many things to do in San Pedro in a Westways Magazine (AAA mag), we decided to embark on a mini-journey. Los Angeles, Long Beach, and San Pedro (which are all lined up in a row) receive the most port traffic in the world. And while people usually think of green grass and palm trees adorning Southern California beaches, we learned that the area actually used to very much be the desert. Luckily, the scenery has changed dramatically in the past two centuries. First stop on our trip: The Point Fermin Lighthouse--A beautiful home/lighthouse built in 1874 to guide ships in the area. It later served as a lookout tower during WWII. Next: The Koren Bell of Friendship--Given to the US, by Korea, on our bicentennial to say "thank you" for our country's efforts during the Korean War. Lastly we went to Ports O' Call to get some fresh seafood from one of the many restaurants that sit against the Pacific Ocean harbor. Unfortunately the place was packed! We decided to head over to Long Beach instead and ended up in the city's affluent community of Belmont Shore. All in all, in was a great day. It's amazing what you find in your backyard...when you take a look!